As school lets out for the summer, many local families will soon be hitting the beach or the pool to enjoy one of the most popular perks of Florida life: swimming! 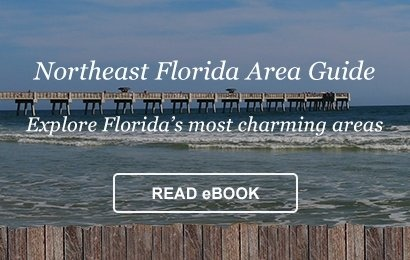 Those who are new to the Sunshine State, however, may not realize just how strong ocean currents can be, or how easy it is to lose sight of young children when the beach gets busy. According to the Centers for Disease Control, drowning is the leading cause of injury-related death among children ages 1 to 4 – a sobering reminder that brushing up on a few basic safety tips is a good idea. 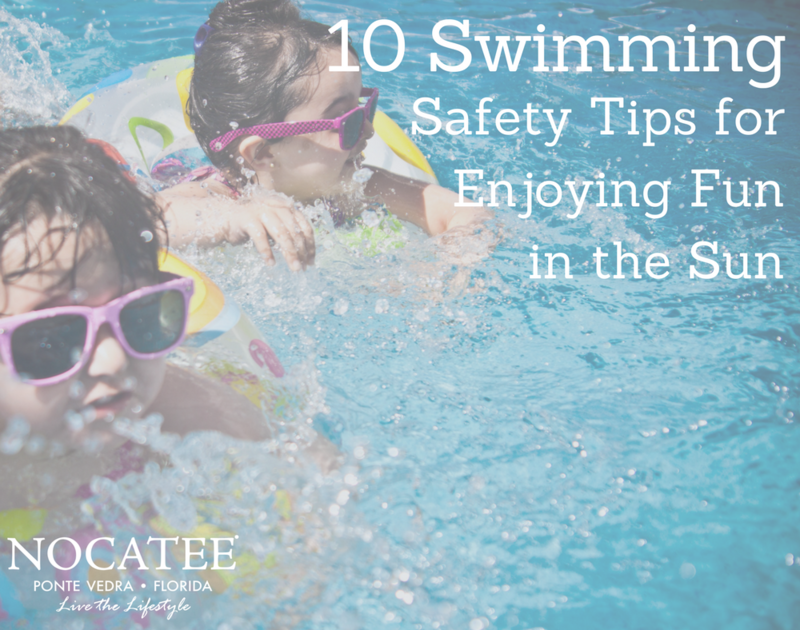 Here are 10 tips to help ensure a fun and safe summer. 1. Learn to swim: In Florida, swimming isn’t just a fun, recreational activity; it’s an important safety skill. Numerous local organizations offer both group and private swim lessons for all ages. Nocatee, for example, offers swimming lessons at its popular Splash Water Park. 2. Look for lifeguards: Whenever possible, swim at beach or pool locations that are staffed by lifeguards. Nocatee’s Splash Water Park is staffed by lifeguards during the summer months, as is nearby Mickler’s Beach and nearby beaches in Jacksonville and St. Augustine. Be sure to follow lifeguard instructions: They’re trained to watch for unsafe water conditions, and will alert swimmers to potential water hazards. 3. Provide active supervision: While lifeguards are invaluable in maintaining safe swimming situations, they’re no substitute for parents or caregivers, particularly when it comes to small children. Maintain sight of young swimmers at all times. Going to the beach with friends? The Safe Kids organization recommends taking turns designating different adults as the “water watcher:” The group offers a free water watcher card that can be downloaded for use at the beach or pool. Parents simply agree to watch all the kids for 15- or 30-minute stints, and pass the card over to the next parent when their “shift” is done so that everyone knows who is on “water watcher” duty. 4. Don’t rely on water aids: Water wings and pool noodles are fun, but they can provide a false sense of security. Maintain sight of kids or serve as your child’s swim buddy when water wings are used. 5. Practice the Buddy System: Encourage both kids and adults to avoid swimming alone. A swim buddy can provide assistance or seek help if needed. 6. Watch out for rip currents: Rip currents are powerful currents that can pull swimmers out to sea. If caught in a rip current, resist the urge to swim to shore. (Swimming toward the shore will simply pull you farther out to sea.) Instead, remain calm and swim parallel to the shore. Once free of the rip current, you will then be able to swim to shore. 7. Observe beach warning flags: Local beaches that are staffed with lifeguards will often fly flags to indicate current swimming conditions. A green flag, for example, indicated calm conditions while a yellow flag indicates moderate surf and the need for caution. The National Weather Service’s Jacksonville office offers details on each of the beach warning flags on its website. 8. Look out for lightning: Never swim when there is lightning or the potential for it. If a storm is moving in, exit the water and take shelter. 9. Protect yourself: Florida newcomers may be surprised at the strength of the sun’s rays here. Practice good beach/pool safety by using a high-SPF sunscreen and wearing sunglasses that block ultraviolet (UV) rays. Be sure to stay hydrated during extended periods in the sun as well. 10. Learn CPR: In the event of an accident, it’s always helpful to have an adult trained in cardiopulmonary resuscitation on hand. Organizations such as the Red Cross often hold CPR certification classes. To learn more about Nocatee and new homes available, explore Nocatee.com, visit the Nocatee Welcome Center or call 1-800-NOCATEE.